Zombieland Double Tap Adds Rosario Dawson | Nerd Much? The cast of Zombieland Double Tap continues to impress. Initially, the original crew consisting of Jesse Eisenberg’s Columbus, Woody Harrelson’s Tallahassee, Emma Stone’s Wichita and Abigail Breslin’s Little Rock were confirmed. But since then new names have been added, with the most recent making headlines being the badass Rosario Dawson in the role of Nevada. Outside of Dawson, there were a couple other new members that joined the Zombieland Double Tap cast. Zoey Deutch was confirmed to be playing Madison. And Avan Jogia joins the team as Berkeley. Back in September, we received a few new tidbits on Zombieland Double Tap. Rhett Reese and Paul Wernick teased that the sequel would feature “super zombies” for the group to deal with. This new breed is “is faster, bigger, and stronger than the previous strain of zombies and harder to kill.” The writers also confirmed the super zombies “have started grouping up into a horde going from city to city leaving a path of destruction behind them.” So it doesn’t sound like our heroes will be dealing with just one of them at a time. 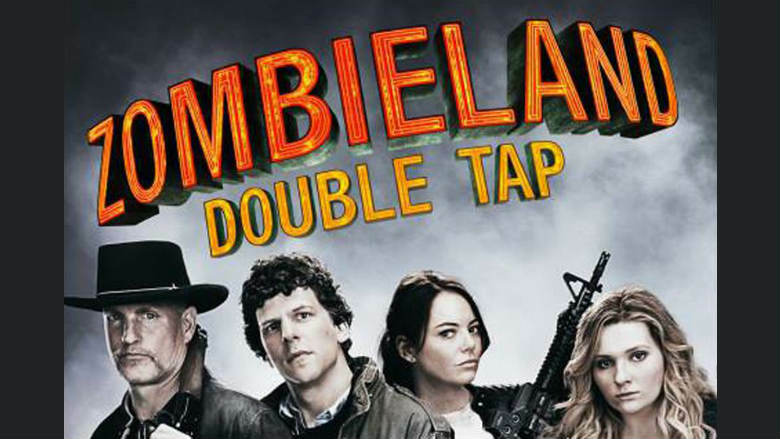 We’ll have to wait until October 11th before we see how Zombieland Double Tap turns out. But until then, there are plenty of other horror movies on the horizon which you can read up on via Nerd Much?’s list of the new horror movies of 2019.